Click on the music player below to listen to country music from Shaking Tree. This country music song is called Coming Down and was released in 2006 on a 3 song EP. We will have more country music on this website in the future. Check back for future additions. Shaking Tree has played across the country for several years. 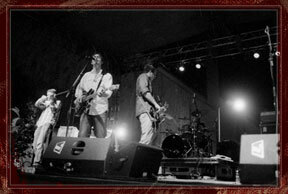 They have opened for the country music band Pat Green and for rock artists Kansas and Journey. Their music blends country styles with rock and alternative music styles to create a sound all their own. Country music is an American creation. The birth of country music is credited to Tennessee. But it's not Nashville. Bristol, TN is considered the birthplace of country music by many. The origins of country music can be traced before America though. Immigrants from many other countries helped define what would eventually become country music. The folk music that they brought from their home countries would form many styles of music. Country music would be one of them.